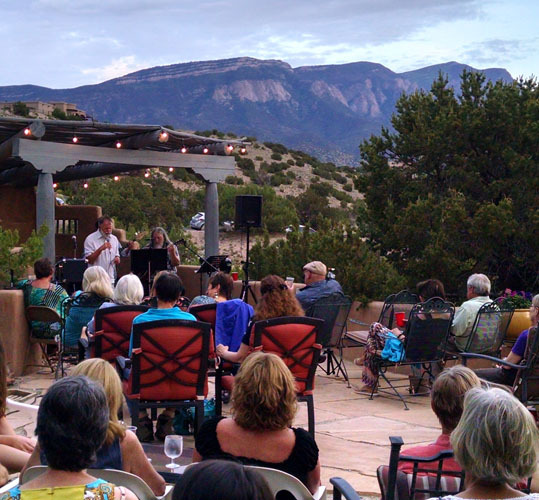 Brought to you by Anasazi Fields Winery, Thursdays at 5pm is a time to turn the spotlight on local (New Mexico) talent. We start off with some poetry and most weeks have a local artist interview. The late Jim Fish shared many of his own poems with our listeners, a spot since taken over by Larry Goodell. Jerry D brings local musician profiles and interviews. 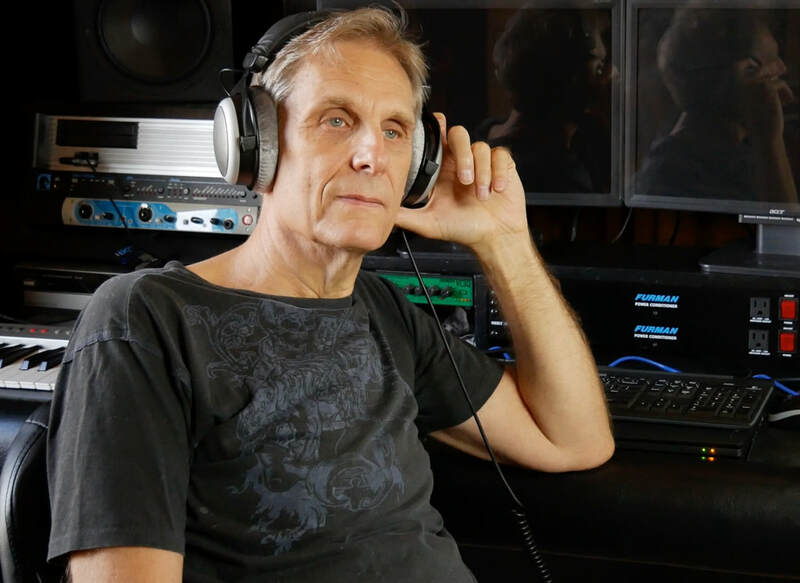 Jerry started doing radio in 2012 on WUSB in Stony Brook, NY - early mornings twice a month, filling in for other hosts, recording promos and also helping out with live sound when local performers would be featured. After relocating to New Mexico in 2014, he could be heard occasionally on KUNM during the overnight hours and since June of 2015, also has a weekly time slot on KMRD-LP in Madrid, NM. Below are some previously aired interviews. Award winning Blues and Americana singer-songwriter Anna Rudolph is featured in this episode,aired on 7/5/18. Originally from Dallas,she has been in NM since 1989. Jerry D speaks with Anna about her recent CD "Darkest Angel" and a few tracks are featured, along with a live performance of a new song "On Fire". They also talk about the songwriting and recording process, and Anna's musical influences growing up. Michael Crofoot and Mike Chynoweth graced the KUPR studios with music and wit - throat singing and didgeridoo. Michael has been a fixture in Placitas for over 20 years - studying the history, geology, plants, birds and animals of our little spot in the High Desert and recording his studies with text and pictures. Recent health issues made him decide to relocate to the Pacitic Northwest and a lower elevation where he will no longer need oxygen. He will be missed. James de Champlon has long been a fixture in Albuquerque's Old Town, but you may not know that he was also a creative force with Little Kiss Records, a local label, for some time. Jerry D had a great conversation with James and they shared some tracks from Little Kiss recordings along with some history of some of the musicians. John Thomas Bullock, is a life-long musician who grew up in a musical family in New York. He learned to play guitar at an early age and performed with bands throughout New York City and Long Island. Formally trained in composition, harmony, counterpoint, and orchestration, he is composer-in-residence for the Placitas Artists Series. In 2015, he was co-writer of the song The Ghosts of San Francisco, sung by legendary Motown artist Chris Clark, for the feature documentary-drama, When the World Came to San Francisco. The music video of the song was an official selection at the New York Jazz Film Festival and was was the winner of the Mixed Genre Jazz Film Award. Jose Antonio Ponce is a song writer, performer, writer, actor and documentary film producer, (Mariachi Spectacular; Lewie Wickham-A New Mexico Original) and producer of the New Mexico Music Awards, the longest running and most prestigious music awards program in New Mexico. Tonight Jose brings KUPR up to date on the 2017 New Mexico Music Awards. Jerry D. interviews guitarist Jim Casey. Jim plays in the styles of Jazz, Blues, Old School R&B and Soul, and is part of The Chill House Band and The Buster Brown Band. Jim and Jerry talk about current and past projects including "Miles Goes Wes" - a CD featuring new interpretations of Jazz classics originally done by Miles Davis, Wes Montgomery and others.They also talk about the 2/12/17 KUPR Celebration & Fundraiser-since Jim performed at this event-in two bands! Jerry D interviews singer/songwriter Dave Payne. Dave was with the Saltine Ramblers for 10 years, and also recorded with Russel James Pyle, The Silver String Band, 3 String Bale, and Leeches of Lore. His current project is Salt Cedar, an Albuquerque based 4-piece band that plays original songs with a country influence.This episode features Dave debuting some new tunes live. D'Santiago "El Brujo" Nava is a native of Santa Fe, NM with musical bloodlines that go back over 300 years In Europe, Latin America and the USA. D'Santi brings a blend of rhythmic sounds from his indigenous cultures, childhood love of classic rock, classical guitar training, nuevo flamenco and all eras of blues. He currently plays lead guitar with Shelley Morningsong, Underground Cadence, duo with local vocalists and as a soloist. His main influences range from Santana, Hendrix to Jesse Cook, and Los Indios, Strunz and Farah to the Gypsy Kings. D'Santi Nava believes playing music brings healing to the soul! Felix Peralta—who goes by the stage moniker Gato Malo--stopped by Jerry's studio to talk about the band's new work. Felix y Los Gatos plays a variety of musics from the south and southwest. Zydeco, Americana, Blues, Funk, Rancheras Cumbias, Country, Tex-Mex, Swing...all of these diverse genres can be heard in the band’s engaging live blend. In fact, Santa Fe calls their music “Zydejano”, a fusion of New Orleans Zydeco and Texan/Northern Mexican Ranchero music. Acoustic guitar and bluesy harmonica player Jimmy Abraham shares some carefully crafted songs that range from soulful to silly with Jerry - and talks about his newest CD, Songwriter's Notebook Volume 2. Caroline and the Carolines is one woman's take on a 'one man band' concept in an age where anything is possible. Making music with other musicians is always a joy, but sometimes going it alone is an excellent journey as well. 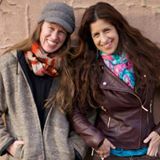 The CD has been Caroline Jenny's complete focus this past year since the breakup of 'Blue Moon Prairie', a trio devoted to the power of three part harmonies. She believes that anything is possible if you trust in your own vision. 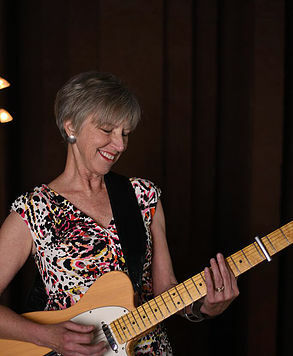 Eileen & the In-Betweens is the musical vehicle for Albuquerque-based singer-songwriter and multi-instrumentalist Eileen Shaughnessy. Eileen, originally from Minnesota, has toured around the U.S. with ﻿Eileen & the In-Betweens﻿ and previous band the ExLovers. Eileen has gained a committed following in Albuquerque by regularly performing around town solo and with the band. When she’s not performing, Eileen teaches at the University of New Mexico in the Sustainability Studies and Women Studies Programs. Eileen’s songs often reflect the complex material she teaches: feminism, racial justice, and concern for the earth. Jerry delivers another spot on interview with a New Mexico musician. Few local singer-songwriters and bandleaders have been at the game as long or longer than Roger Jameson. In fact, Jameson co-led the brigade of singer-songwriters that, back in the early '90s, blazed the trail for others to come with regular showcases at the long-lamented Dingo Bar. On his own and as leader of the Jaded Heart Band, Jameson has released five CDs and continues to make fresh, relevant folkish pop that's unmistakably Roger Jameson. He resides in Albuquerque. Jerry interviewed KUPR's very own Charlotte Perry and A. Michael Martinez, hosts of Wednesday night's Red Road Radio. Michael's career in music goes back to the late 60s and they now perform together as Amistar, write and record music, and travel the world in search of indigenous music. Enjoy the conversation and the music. 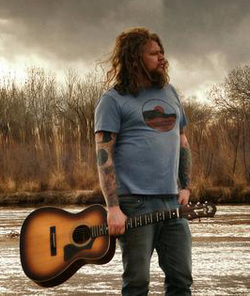 Inspired by struggle and triumph, the natural world, and spoken with a sincerity that touches deep, Russell James Pyle's songwriting "has it's fingers placed firmly on the pulse of American life," (New Mexico Americana Music Society). His performances, whether solo or with his backup band, Dry Heat, are passionate, energetic, and delivered in his trademark vibrato rasp.Thank Jerry for another great interview. 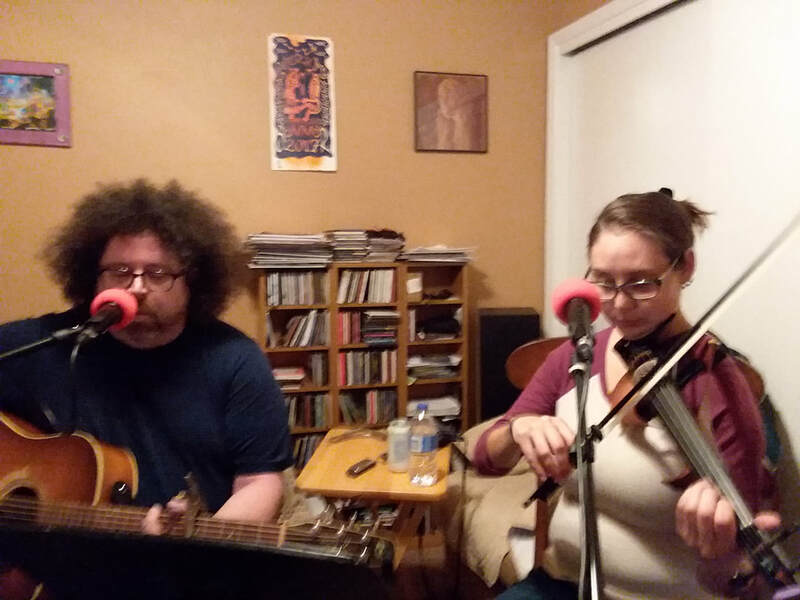 A KUPR first - Jerry and George Koinis recorded a house concert in Placitas on June 11 and then followed up with an interview with two of the musicians, Patty Stephens and Mark Dankert. What a great setting for some great music! Jerry D caught up with Bébé La La at a recent live performance and captured this interview for us. Bébé La La features singer-songwriter, guitarist, and violist Alicia Ultan and vocalist-accordionist Maryse Lapierre, who is originally from Quebec. Bébé La La has been nominated for three awards for the NM Music awards and took home two! Jerry DiTata interviewed Las Cruces musician Zach Caruso on KUPR talking about the new record "Afternoons With Miss Jones", touring, and some tracks from his last album "Might Be The Rain". Wayne Wesley Johnson is an award winning guitarist who performs on acoustic, electric, nylon & steel string guitars and guitar synthesizer in a variety of musical styles and genres. He performs in thumbpicking, fingerstyle, and flatpicking styles...playing jazz, world, new age, latin & rumba flamenca and with classical techniques. In addition to leading his own bands, he formerly performed and toured with guitar legend Les Paul and has performed and recorded with many others. Wes is currently a guitar instructor and member of the faculty of the Santa Fe Community College and also teaches at Grandmas Music & Sound, Albuquerque, NM. Kim Perkins is a self-taught harper (harpers play lever or Celtic harps, harpists play pedal harps) but was classically trained on the piano. Kim lives in Placitas and shared her story and music with KUPR's Jerry D. You can listen to the entire segment below and her CD is available at Hoot Art Gallery in Placitas. Learn more about her at www.kimperkins.org. Jerry interviews Cali Shaw and plays cuts from his new album Under The Olive Tree (released November, 2015). On it, Shaw continues his unique vision of modern acoustic music by employing instruments not normally associated with folk and making them seem perfectly at home and in proper context within the boundaries of his songs.